Painting by artist Tiziano Vecellio “Portrait of Charles V”. The size of the painting is 205 x 122 cm, canvas, oil. Portraits of Titian are remarkable in that they continue and deepen the realistic line of the Renaissance portrait. This is especially clearly seen in the portrait of a person sitting in the armchair of Charles V. This portrait is by no means the forerunner of the ceremonial official Baroque portrait. He impresses with ruthless realism, with which the artist analyzes the inner world of man, his properties as a person and as a statesman. This he reminds the best portraits of Velazquez. The colorful power of the characteristics of this complex, cruel, hypocritical-cunning and at the same time strong-willed and intelligent person is distinguished by its plastic integrity and picturesque brightness. 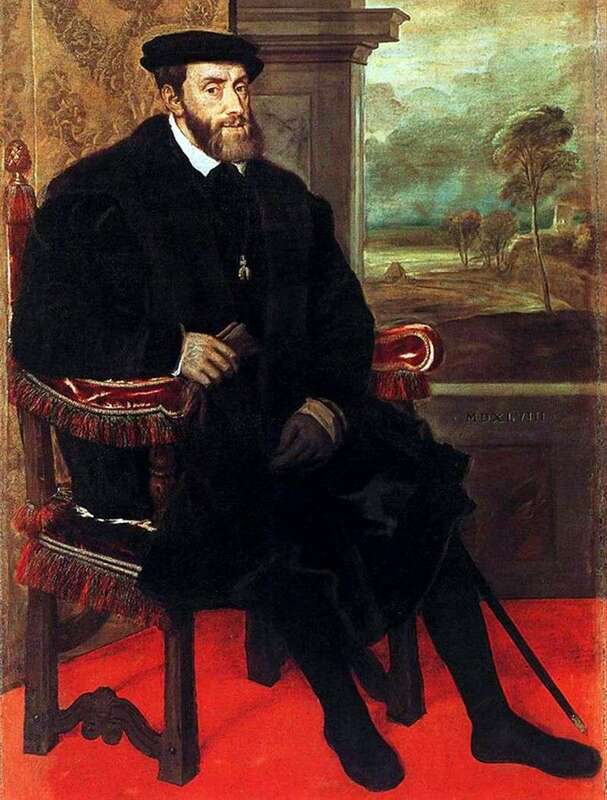 Description and meaning of the painting Portrait of Charles V in the chair by Titian Vecellio.